Hey everyone, today I’m reviewing the Garnier Fructis Triple Nutrition Oil-in-Cream which I’ve been using for the past few weeks. Packaging: Garnier Fructis Triple Nutrition Oil-in-Cream comes in a bright yellow plastic tube with a flip open cap. 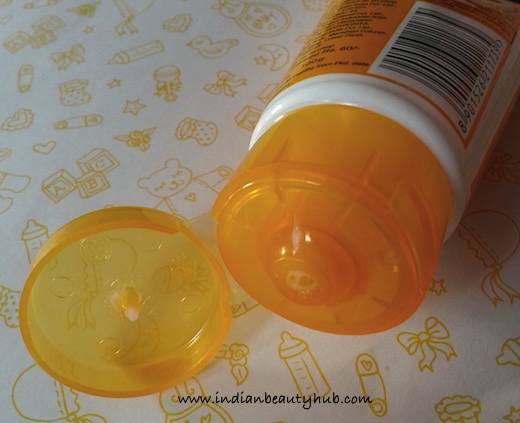 The cap shuts tightly and there is no leakage of the cream and you can carry it while traveling. 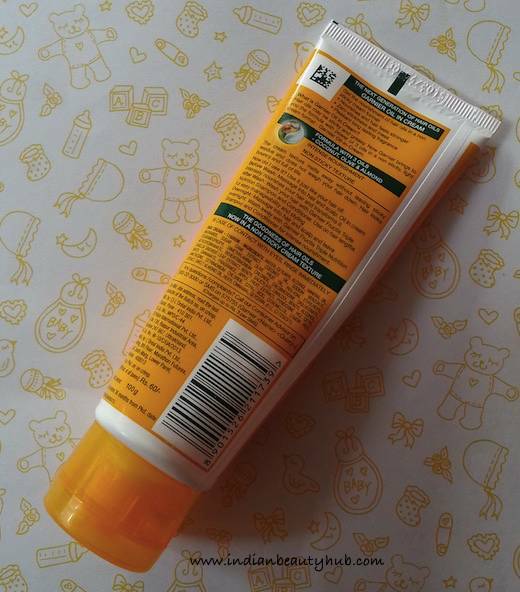 All the important product information is also written on the tube. 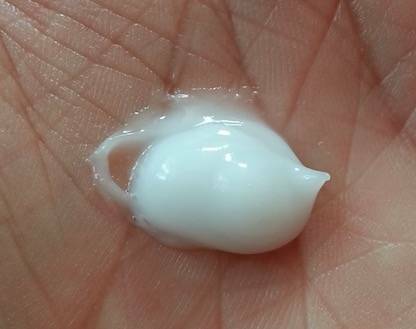 Texture & Fragrance: It comes in a milky white color and has a hair conditioner kind of consistency. It has a refreshing citrusy fragrance which lasts for 4-5 hours on my hair. Efficacy: I’ve very thick, frizzy hair and I usually apply a good hair serum to keep my hair manageable. 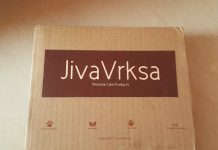 After reading so many positive reviews about this product, I decided it to give it a try. I used this hair cream in all the 3 ways as mentioned on the packaging and it works best when it is applied on damp hair after the hair wash. 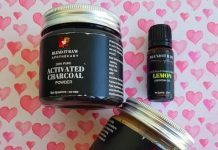 I generally section my hair in two parts and apply this cream from mid-lengths towards hair ends and finally take a small amount and apply it on the crown area avoiding my scalp. It spreads smoothly on the hair and gets absorbed quickly without feeling sticky. It helps control frizz & dryness and makes my hair soft, smooth and manageable for 2 days. I used it before hair wash and also overnight, but it failed to work both ways. 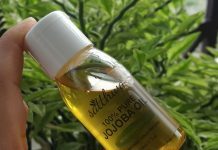 No doubt it is a good product that works nicely to manage hair, but it is not as effect as the hair oils, so I don’t think I’m going to replace my hair oil with this hair cream. This is more suitable for those who don’t use hair oils but use some gels to set their hair, so this will be a healthy option for them. 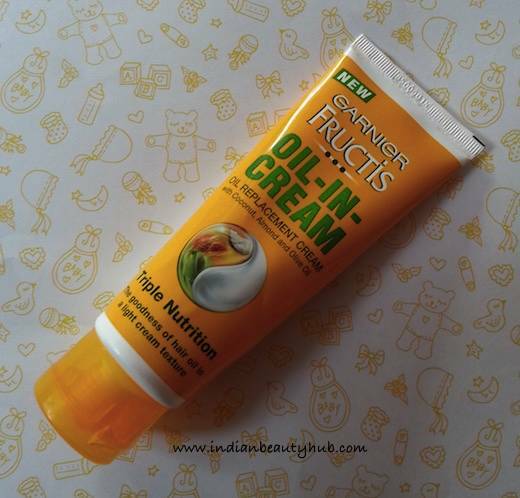 Price & Availability: The price of the Garnier Fructis Triple Nutrition Oil-in-Cream is Rs.35 for 50g, Rs.65 for 100g & Rs.100 for 200g. It is easily available at local stores and you can also buy it online from Flipkart.com, Nykaa.com, and Amazon.in. Comes in a sturdy, travel-friendly packaging. Available in 3 size variants (50g, 100g, 200g), so you can always try the smaller variant before investing in a full-size product. Controls frizz, dryness and leaves hair manageable for 2 days. Can be used by all hair types and also suitable for color-treated hair. Enriched with Almond oil, Coconut oil, and Olive oil. Not effective in taming flyaways. Not as effective as hair oils. The fragrance is not very long lasting. It’s not very effective in detangling the hair. 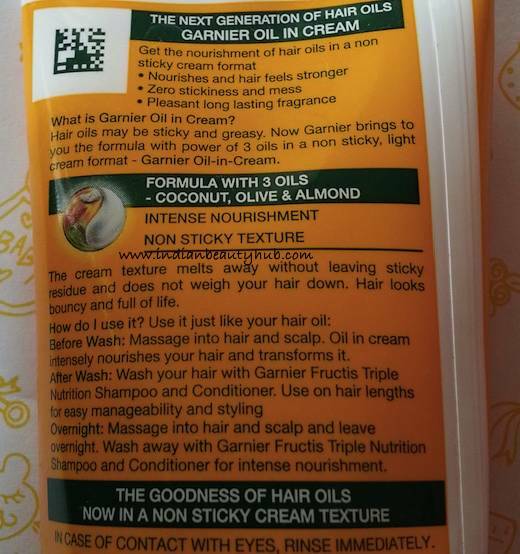 Overall I found Garnier Fructis Triple Nutrition Oil-in-Cream an average product. It nourishes hair, controls frizz and makes hair manageable up to certain extent. But I don't advise to replace your hair oils with this cream as it contains loads of chemicals and is not enough moisturizing for dry, frizzy hair. But still it's worth to try this oil-in-cream.